It’s 2018, and there are many technologies available for health improvement. These are geared towards personal health, physicians, or the health field in general, technology such as artificial intelligence (AI), virtual reality(VR), augmented reality(AR), wearables and trackers, genome sequencing, nanotechnology, and robotics are just some of them. This article will focus on artificial intelligence. Artificial intelligence is the creation of computer systems that can perform tasks usually reserved for humans, such as speech recognition, translation between languages, decision making, and visual perception. With artificial language, we can have computers scan documents, type papers dictated by humans using speech to text, and even decide the most likely diagnose and treatment plan based on symptomology. So, that’s the basic definition of artificial intelligence. Let’s get into the many ways it can improve the healthcare field and your health. Sometimes, verifying insurance can be a long process. You may be in pain or just need an appointment and it takes a lot of time for your insurance to be verified. While this process is in process, you are unable to get in to see the doctor. With artificial intelligence, physicians can digitally verify your insurance instead of making all the manual calls needed to ensure your insurance is accurate and valid. This will greatly speed up the insurance verification process and get you in to the doctor. AI chat boxes need to be trained well before use. They emulate human-like capabilities such as language processing, sentimentality, and knowledge. For personal use, they can be used if you’re lonely, trying to build social skills, or to help you organize your life through calendars, reminders, and information taken from the internet. Chatboxes also benefit your business. Especially if you own a small business. Chatboxes can help you gather customer information if they have a complaint or question, collect payments, and take suggestions at all times of the day. More than just a great technology to help you get things done, like Siri or Cortana, virtual assistants can also be used between you and your doctor. This virtual assistant technology, by Nuance, will improve your experience with your physician and reduce physician burnout. This assistance can ask pre-appointment questions, gather data, and it can be updated by you or by your physician. With this virtual assistant, you can keep your physician aware of the latest changes in your health care and your physician will have a lot less paperwork to sift through to understand the journey of your health. This can make doctor’s appointments a lot more focused and both you and your doctor can build a closer bond. An app, called doc.ai, reduces your physicians need to interpret lab results. Well, at least some of them. This innovative product will first interpret blood tests, and then genetic tests, and in the future, it will handle other kinds of tests. Without having to explain lab results doctors will have a lot more time to diagnose and treat conditions. You can get results and explanations quicker through this app that has a simple, intuitive interface. Doc.ai can be connected to your Apple watch, MyFitnessPal, Fitbit, or Samsung Gear. Virtual assistants are evolving every day, but they’re still missing a lot of that emotional connection humans offer each other. Currently, virtual assistants are unable to assess social cues and speech, inflection, or different tones that may indicate your mood or feelings. 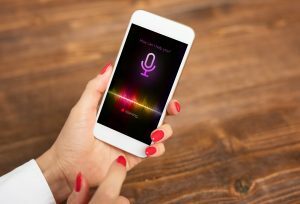 Innovations are being worked on extensively so that eventually these virtual assistants will be able to assist with the detection of depression, anxiety, and other underlying conditions such as heart disease simply by noticing the tone of your voice. Many times with depression the vocal tones will flatten and speech will become shorter. In severe depression, speech may even become monosyllabic. If you are diagnosed with depression, anxiety, or think you may have either of these, an emotionally intelligent artificial intelligence can help you identify the symptoms before either condition progresses further. Healthcare giant Aetna has developed a new security system that may make passwords obsolete Rather than needing to enter a password or scan your fingerprint this new technology will scan your behavior on your device and monitor such aspects as how and where you use your device. This will tie your device to you and alert you if any suspicious behavior is conducted. You can also add a fingerprint scanning option to your device if you’d like. Losing a limb is a devastating event. The loss of dexterity or ease of movement can lead to many years of training and adjusting. With prosthetic limbs that use a camera to assess the size and shape of an item and grasp it, the Bionic hand is a revolutionary product in the field of prosthetics. 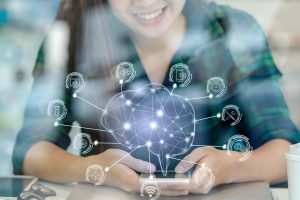 Combined with machine learning, AI can reduce the extremely large amount of work for IT professionals in the field of cybersecurity. AI has the ability to look at signatures versus behavior and multiple data points in a network. These capabilities can help IT professionals prevent cyber attacks rather than learning of them after they’ve already happened. This will greatly enhance the security of the confidential data you share with your physician. 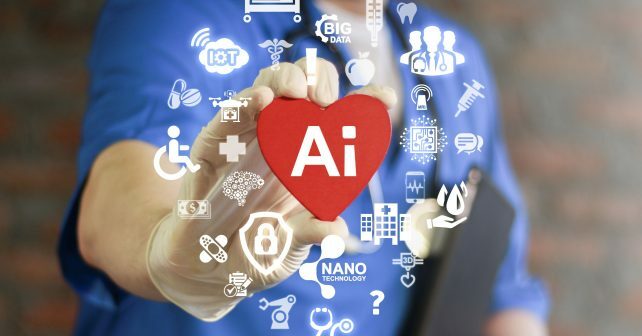 Artificial intelligence is a huge field with many potential benefits for health care. These are just a few of the benefits. Some of the others include language learning, the keys to healthy aging, healing vets of PTSD, preventing brain bleeds, performing more precise spinal surgeries, and detecting tuberculosis. With machines handling many of the repetitive tasks that physicians, hospitals, and yourself need to do, health care will become a faster, simpler, and more pleasant experience for you and your doctors.